It's nearly harvest time for this field. Great capture. Is the corn mostly dried when it's picked. This one sort of looks dried. Just curious. @rickster549 Yes, the drier the kernels, the better. 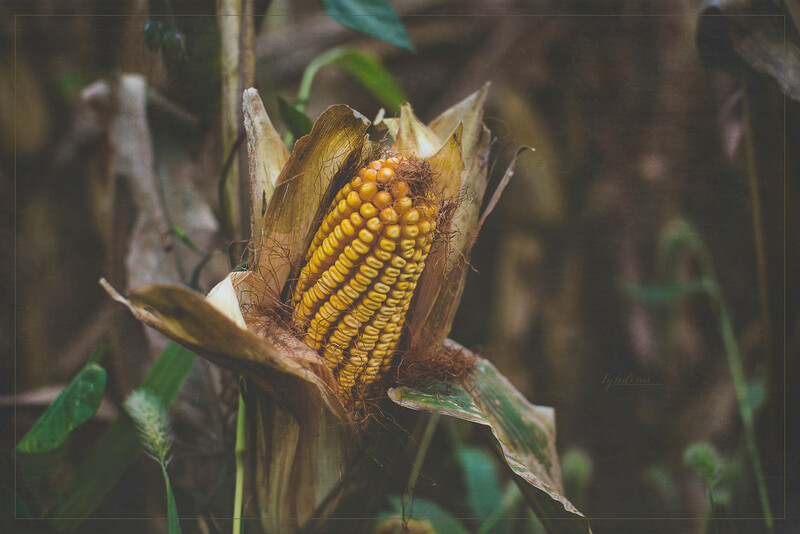 Moisture content is measured electronically (these days); if there's too much moisture left in the kernels at the time of harvest, the corn has to be mechanically dried which costs the farmers. They're very happy about the hot & dry couple of weeks of weather we have here lately. Wow lovely composition and processing.............this looked like one of your photos before I saw your name Denise! nice tones. is this feed corn? A lovely soft image! Like Jackie - I was interested in what this corn was used for - it looks too dried out to eat. It's just perfect as is your processing!